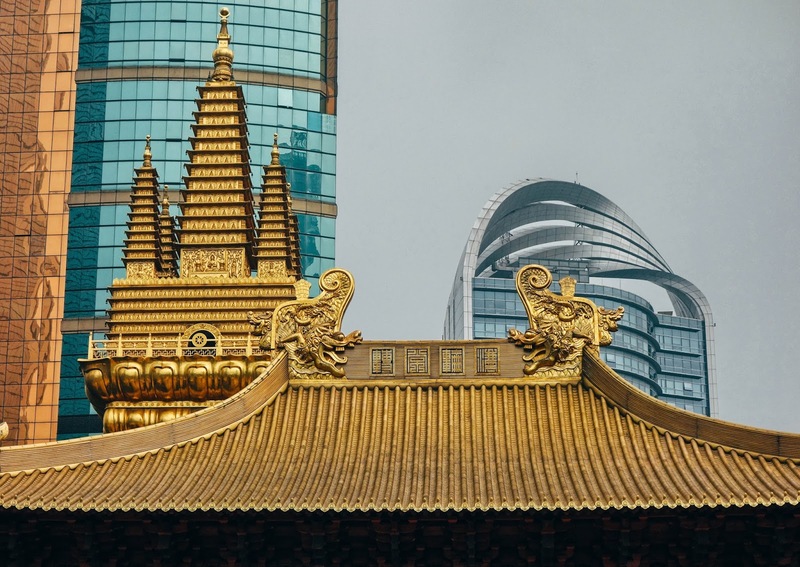 In the heart of Shanghai city lies a very beautiful golden temple, I used to see its golden towers gleaming in the sun every morning on my way to work and how the ancient structure stood out among the urban jungle of skyscrapers at night. 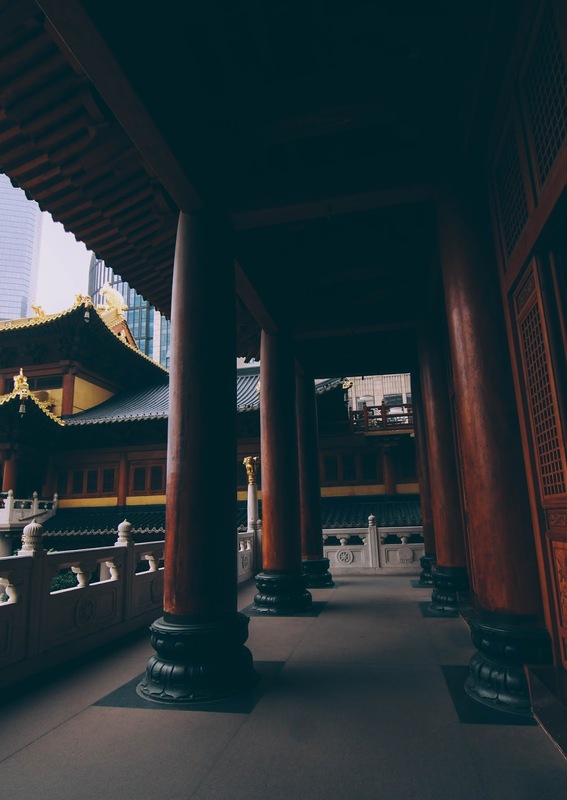 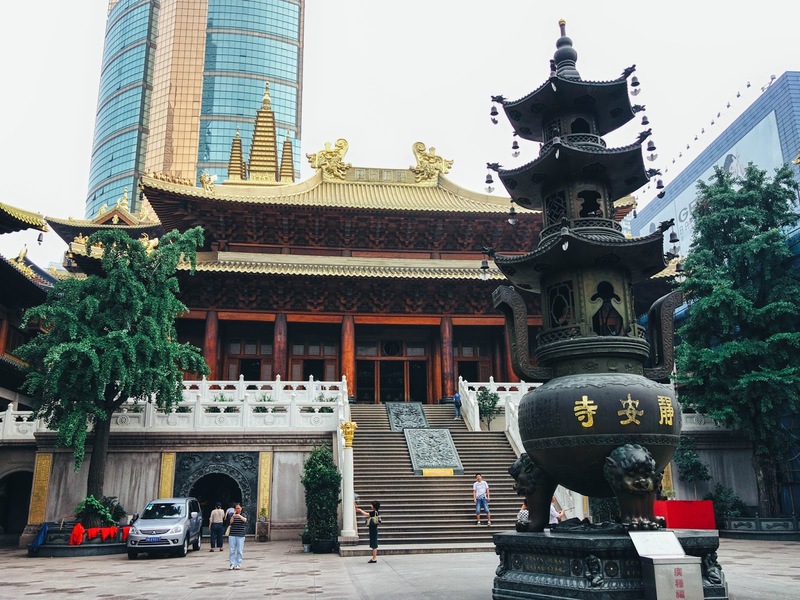 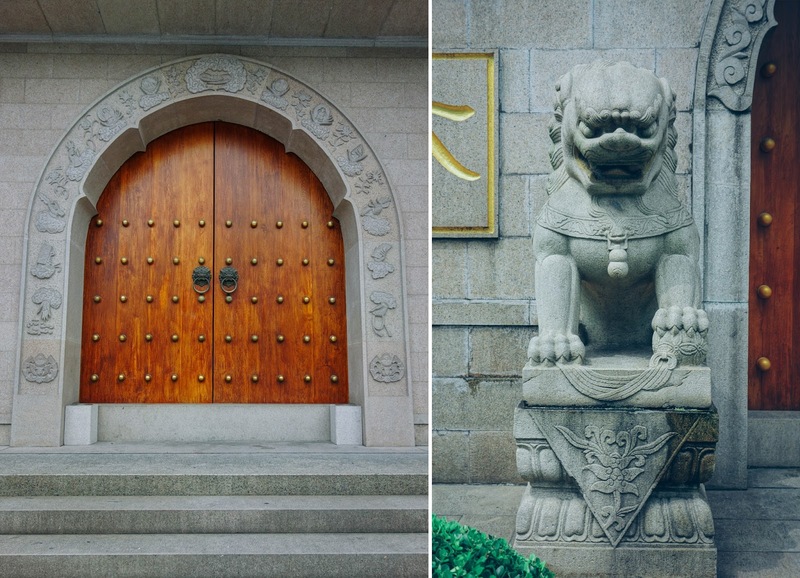 The Jing’an Temple also known as the Temple of Peace and Tranquillity is located on West Nanjing Road in Shanghai, close to the French Concession Area. 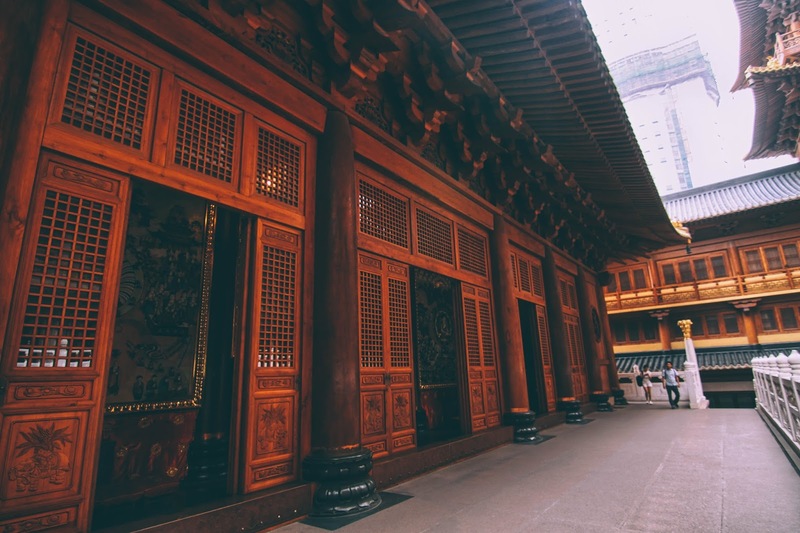 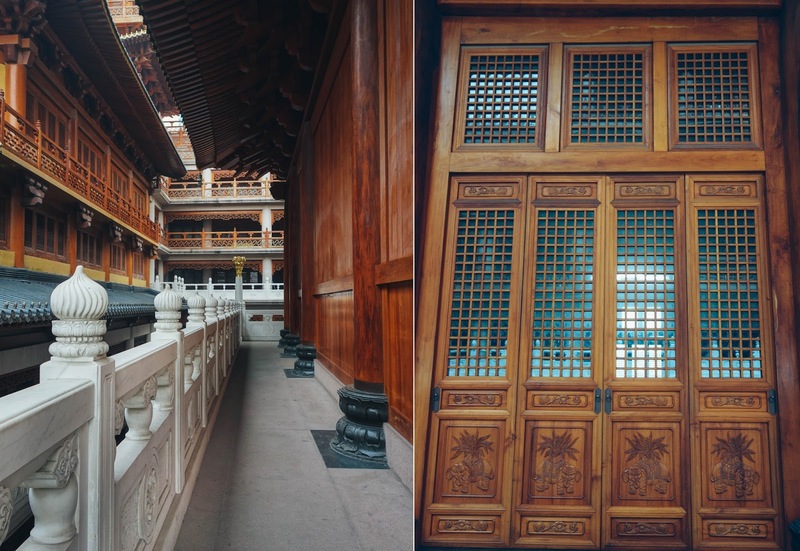 The temple was built in 247 AD in the Wu Kingdom and then was moved to its current site in 1216 during the Song Dynasty. 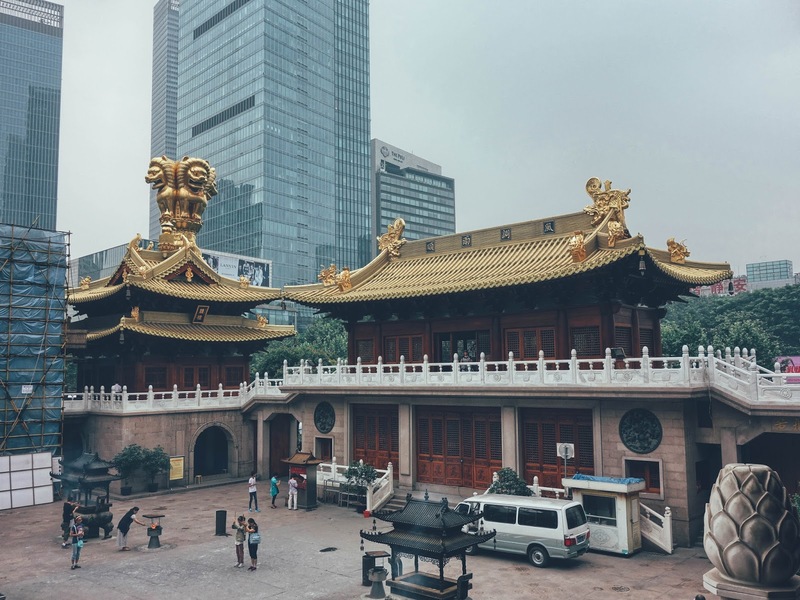 During the Cultural Revolution the temple was converted to a plastic factory which was later destroyed in a fire. 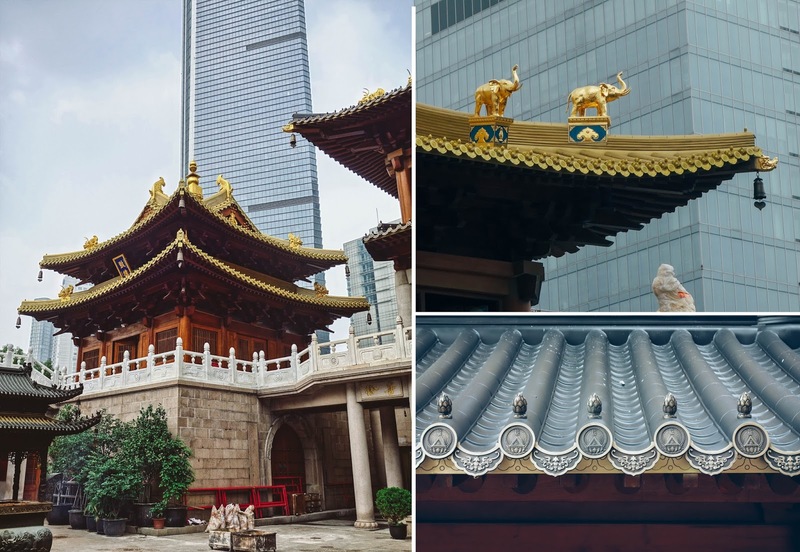 They started to rebuilt the temple in 1983 and the final pagoda was finished in 2010, hence the temple is in pristine condition and very well maintained. 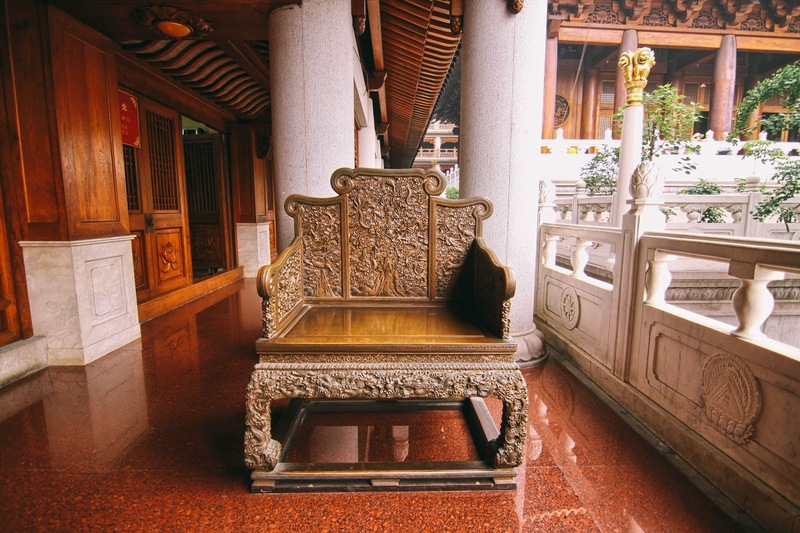 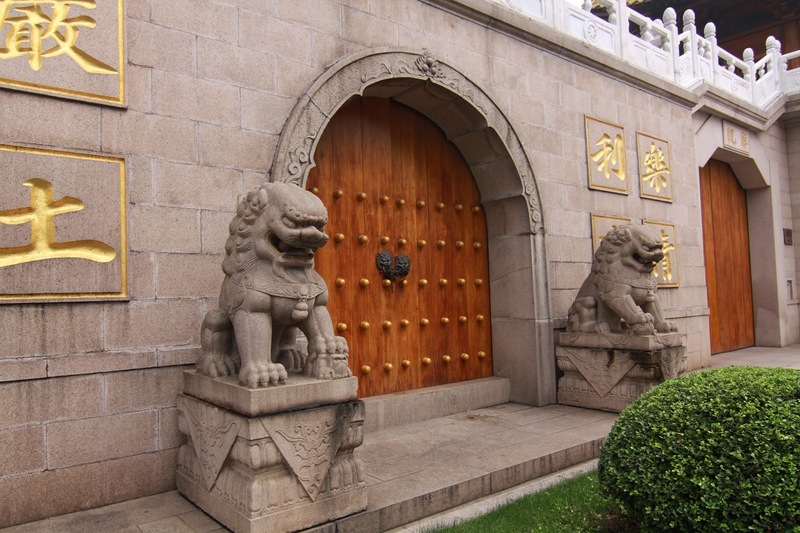 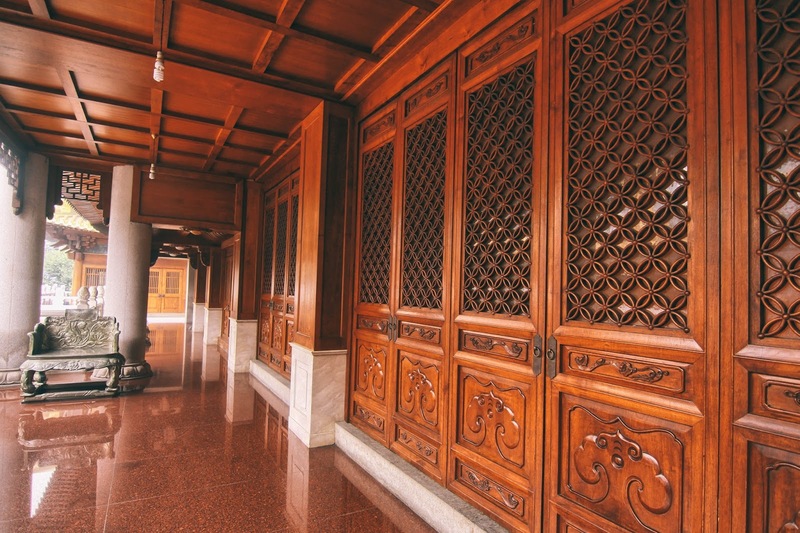 The temple has three main halls - Hall of Heavenly Kings, Mahavira Hall and Three Sage Hall. 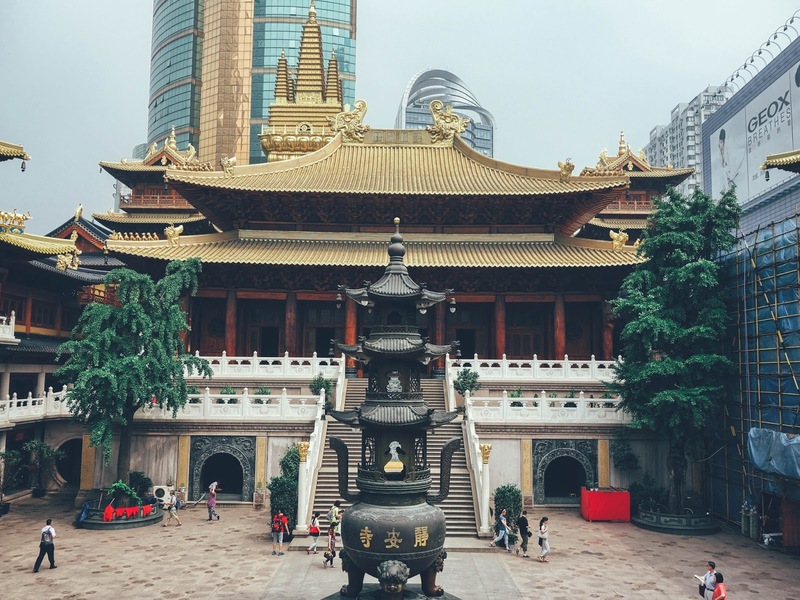 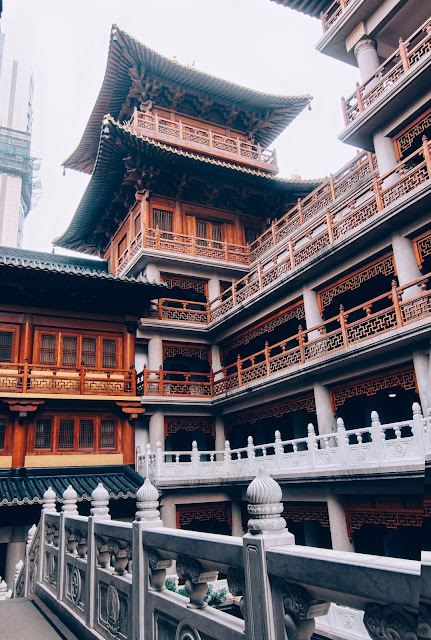 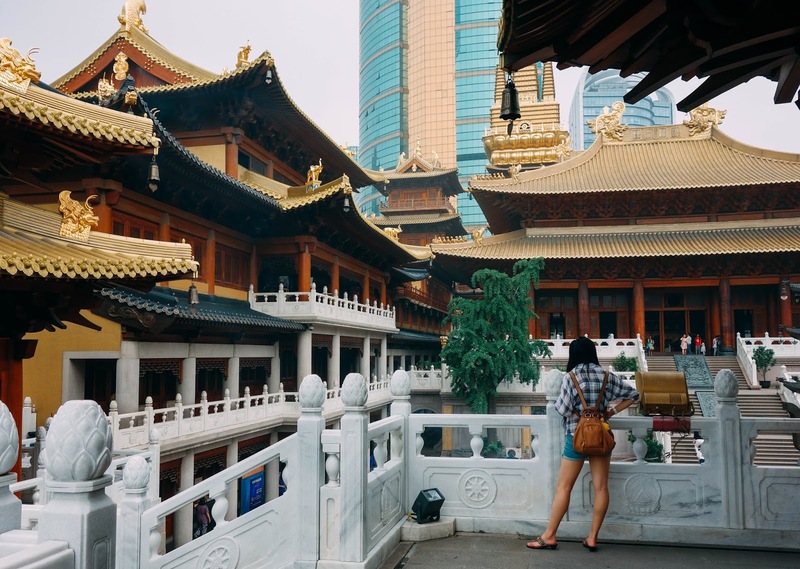 At the centre of the temple complex is a large pagoda made of Iron where worshippers pray with incense sticks and throw coins inside for good luck. 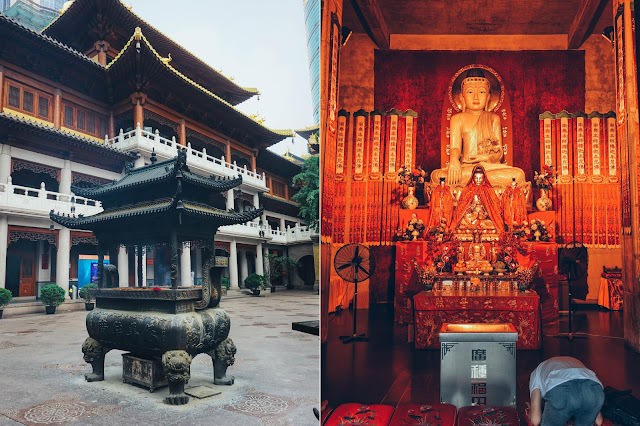 I visited the temple on a cloudy Saturday afternoon and spent close to 2 hours wanderings the temple grounds and exploring the halls and shrines. 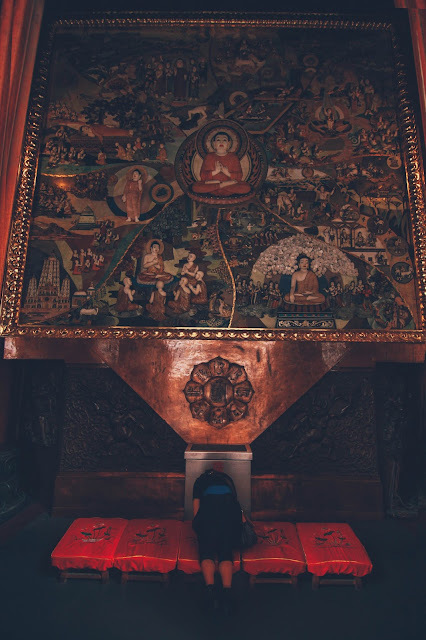 There were a few people praying inside the halls so I didn't take many photos inside. 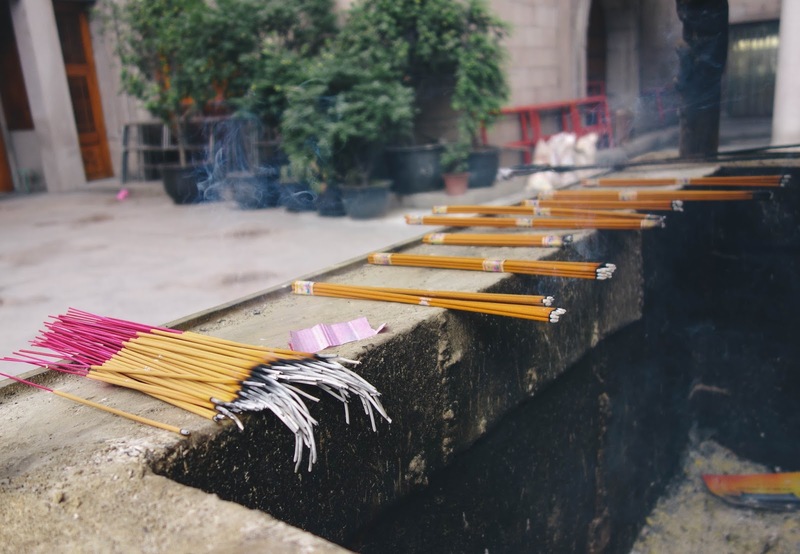 As soon as you enter the temple complex the smell of burning incense takes over and the sounds of the city seem to disappear. 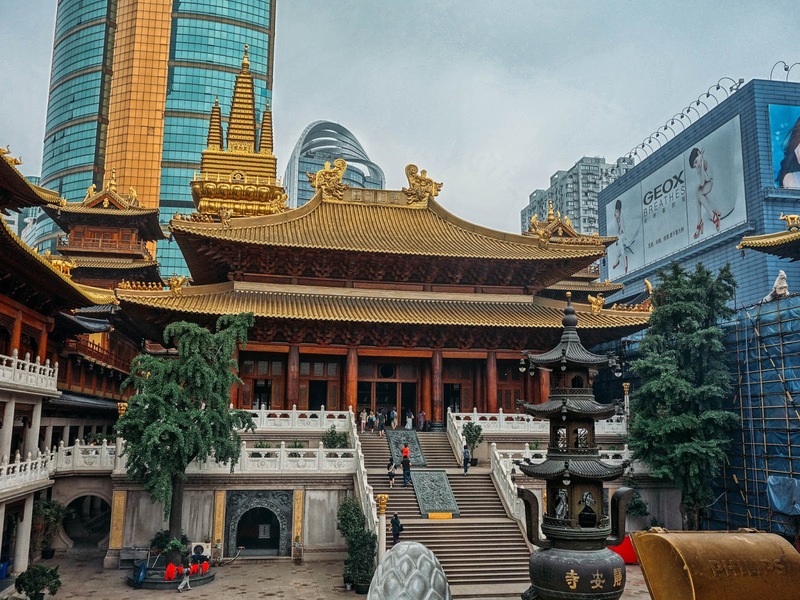 Getting to the temple is relatively easy, hop on metro line 2 (green) or 7 (orange) and get out at Jing'an Temple Station; take Exit 1 to go directly to the temple. 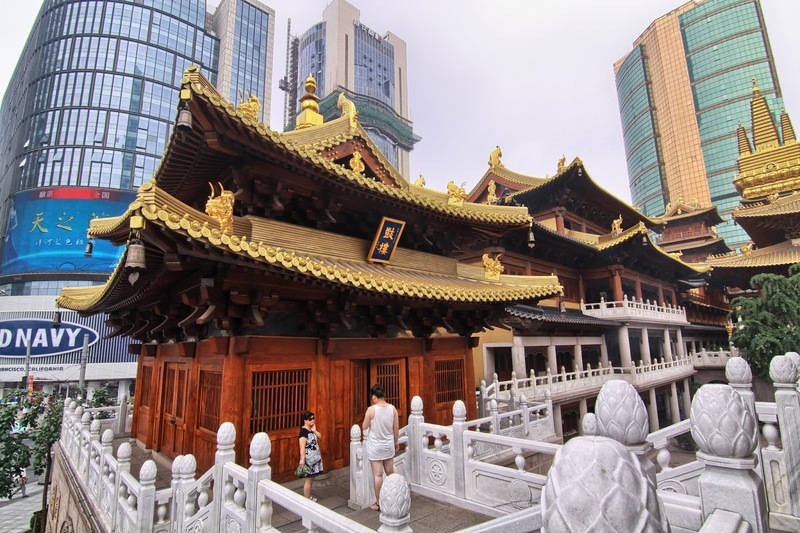 Everything about the temple is large scale so make sure to carry some wide angle lens; I used a Tokina 11-16 mm Ultra Wide for most of the shots. 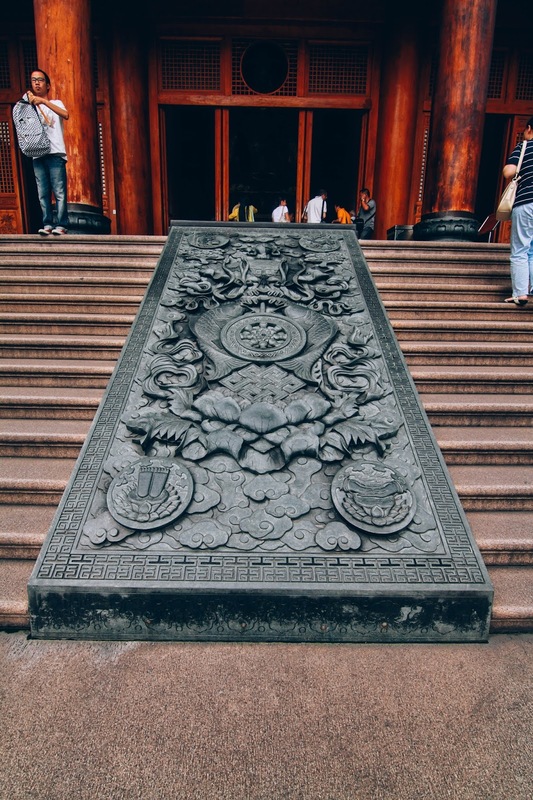 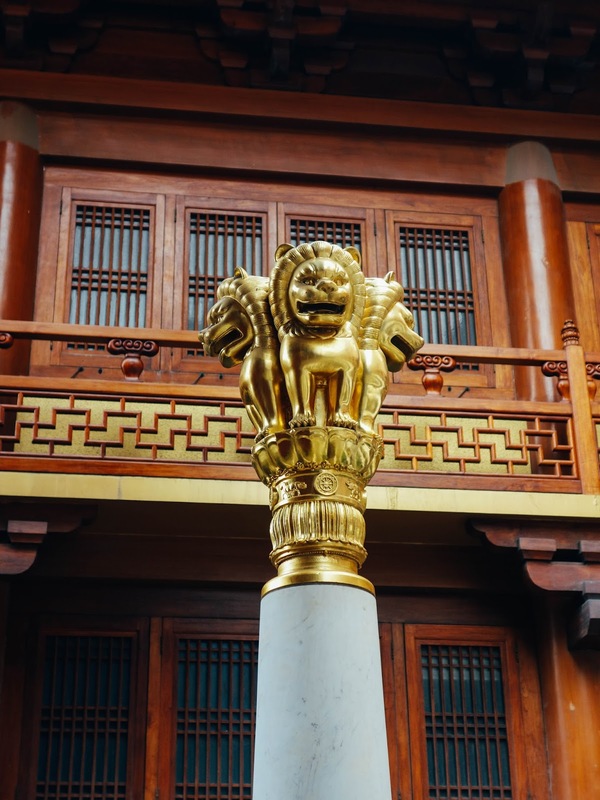 The golden elephants on the roof denote wisdom and strength while the dragon is a symbol of power. 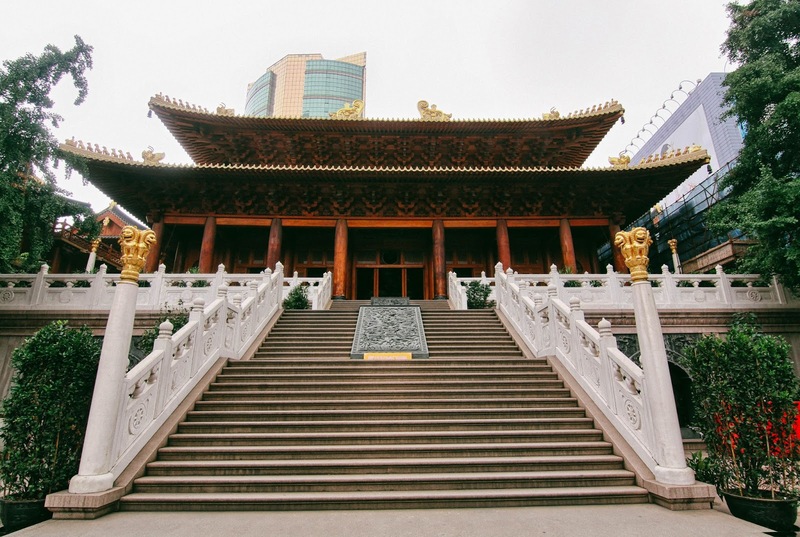 The Jing'an temple houses some of the most important Buddhist artefacts in the whole of China like the Bronze Bell from the Ming Dynasty, the four meter tall Jade Buddha, famous painting by Zhu Da from the Ming dynasty and other pieces of art and calligraphy are disaplyed all aroudn the templ. 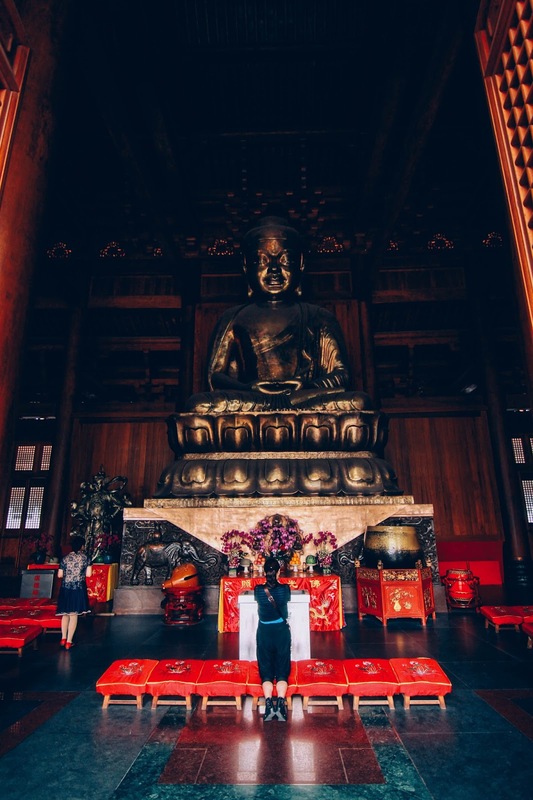 Inside Mahavira hall you will find the largest Jade Buddha Statue in the whole of Mainland China. The status known as the portrait of Sakyamuni was sculptured in Burma and is entirely made of pure white jade. 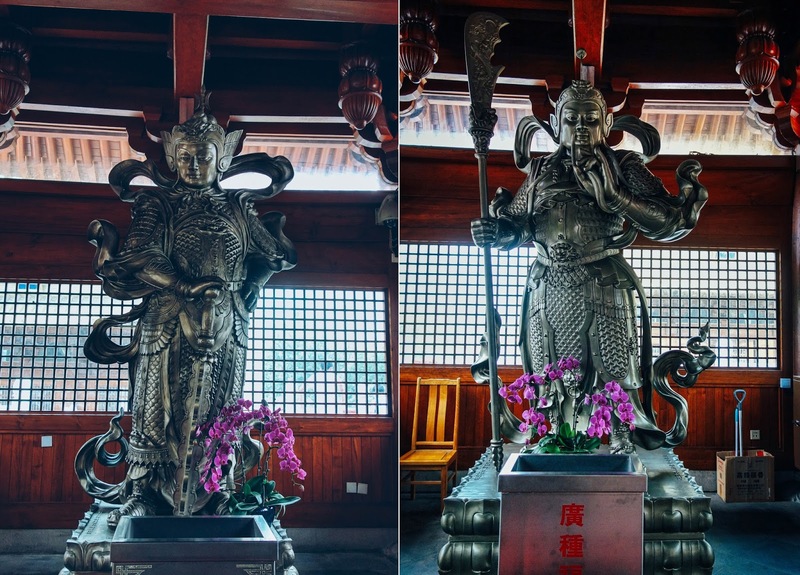 The statue is about 4 meters in height, 3 metes wide and weighs about 11 tons; a part of the wall had to be demolished to bring the statue inside.